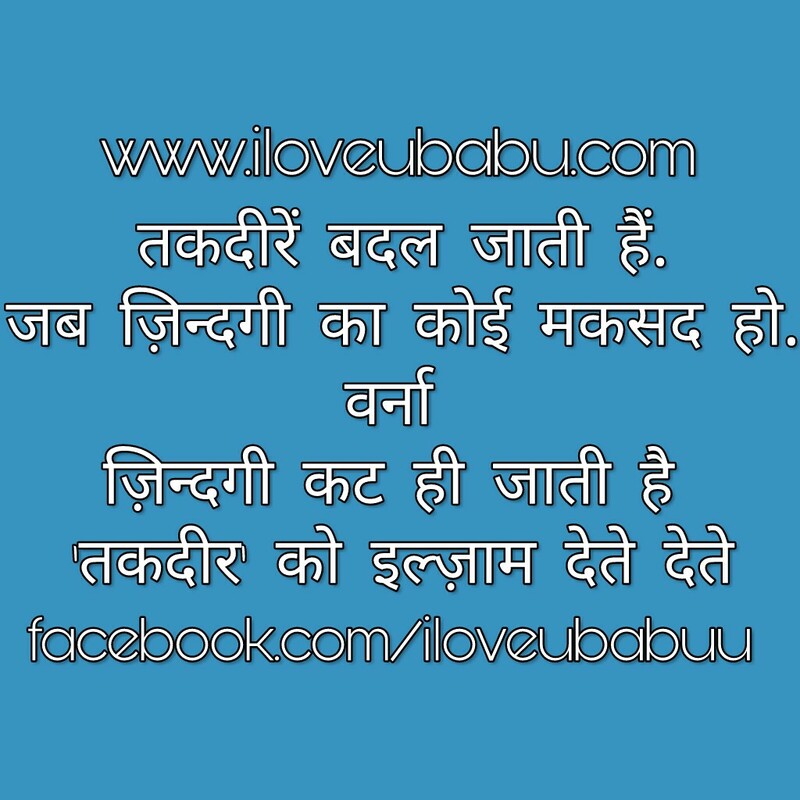 This post says about famous quotes the situation of Luck will change when there is a purpose of life! Otherwise, the life gets cut, giving to the “Luck” blame !! तकदीरे बदल जाती है, जब ज़िन्दगी का कोई मकसद हो !! Luck will change when there is a purpose of life! This post says the situation of luck will change when there is a purpose of life!